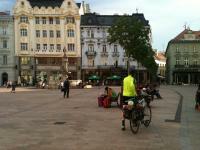 Blog from Gyor, Hungary | Where's Jeff? I last blogged on the train. Since then two days and as many countries have passed beneath our wheels. 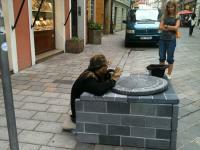 Bratislava was a pleasant surprise. After crossing through the abandoned remains of the old iron curtain border checkpoint, we rode into a vibrant city with a beautifully restored old city section. Sandra ran shocked out of the first hotel we visited and retreated to hostel accommodation across the street. It made for an interesting change and was excellent for gleaning useful information. Sandi slept peacefully while I made good use of their washing machine. As usual we only stayed one night before resuming our relentless easterly ride. Yesterday was a day of good pedaling progress at last. 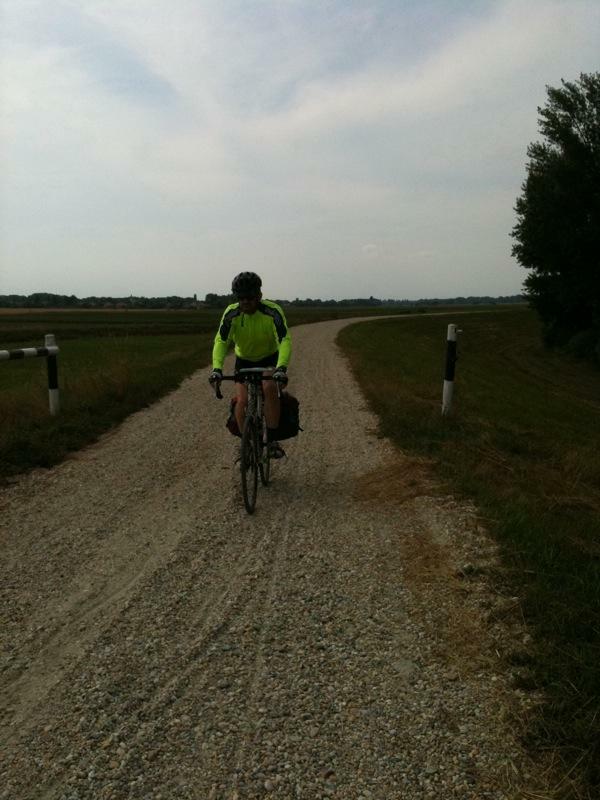 We set off earlier than usual and made about 75 km including about 8 km on dirt tracks. My map reading let us down and we found ourselves about 5 km down the wrong road. We followed some back tracks directly through to the main route and in the process rode along some almost non-existent tracks. I felt right at home and Sandi bravely tagged along for an hour or so of this until once again we were back on course. During our excursion Sandi had the occasion to play chicken with a large hare, much to both of their surprise. Traffic on the paths has generally thinned after Austria but yesterday we caught up with about 100 cyclists traveling slowly In a group. 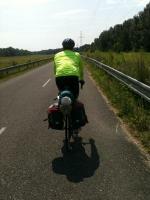 they were quite difficult to overtake so once in front, I put my head down and pedalled fast for a few km. 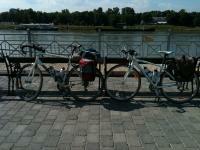 Sandi stuck with me for about 10km before her energy ran out and we went back to normal cruising speed into Gyor. 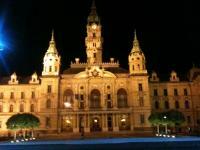 We stayed in the city center and enjoyed a great dinner with impeccable table service. 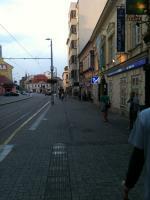 Gyor looks really ugly as you approach the outskirts but is beautiful in the center. The people are friendly and two separate people stopped to help us find our way to the city center, both spoke reasonable English. Today we have about 190 km to go to Budapest. We hope to cover most of that today and tomorrow and arrive fairly early Friday all being well. That's if I can coax Sandra out of the hotel and onto the pouring rain! Yesterday was dry and sunny about 35 degrees. Today is quite wet and more like 25 degrees. Erica Well you'll both be strikingly fit! Extraordinary.